The only winners from killing net neutrality are the companies who are in control of Internet traffic. Who do you think should decide what content you can most readily access, you or your Internet service provider (ISP)? Although we suspect most Americans would like to decide for themselves, FCC Chairman Ajit Pai has concluded that your ISP—that is, AT&T, Comcast, or one of a few other large corporations—should decide for you. For that is, in effect, what he proposed last week in scrapping net neutrality regulations. Net neutrality guarantees ISPs cannot manipulate or slow down traffic. Without net neutrality, AT&T or Comcast could deliver content from The Wall Street Journal first and The New York Times last if that is what it wishes to do. Or, if the Journal is willing to pay fees for prioritization that the Times is not, the Journal’s web page would appear first. Similarly, if Amazon paid AT&T, but Netflix did not, AT&T could ensure that streaming content from Amazon reaches users before that of Netflix. In an environment without net neutrality, AT&T would be able to manipulate all Internet traffic on its network, exacting significant new tolls for content and services, which will bear on what consumers pay for content and services they acquire. Moreover, rather than the winners and losers in every industry being determined by the inherent value of what they provide consumers, who wins and who loses will depend on who is willing to pay ISPs the most. Net neutrality established a level playing field for competition. This was of special value to new and innovative companies. It allowed them to grow, becoming engines of growth for the US economy. Without network neutrality, these new companies would typically be unable to pay the fees to be “prioritized.” Fewer new companies will succeed, slowing innovation and economic growth. Read the full article as published by The Hill. 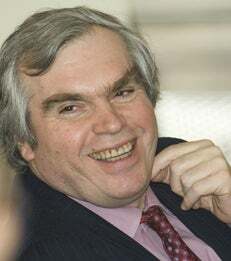 Nicholas Economides is a Professor of Economics at NYU Stern School of Business. Benjamin Hermalin is a Professor at the UC Berkeley Haas School of Business.